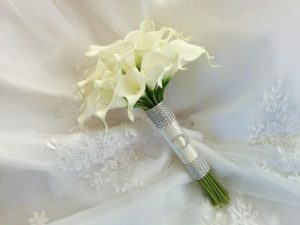 TheBloomOutlet.com | The existence of flowers in a wedding is to enhance the view, the appearance, and the vibe of the wedding. Flowers are used and important for a wedding not only because of the beauty but also because of the flower meaning. Each flower type has their own meaning, though. The meaning of flowers has been passed down through generations and has been used for a wedding. Started from the Victorian period when men would give flowers to women to express their feeling since it is difficult to express their feelings through words. The idea then still exists even until now, and not only to express feelings from the giver to the receiver but also to be used in decorations and gifts for some special occasion such as a wedding. This beautiful flower is associated with elegances and charms. The name of Calla Lily itself comes from a Greek word for “Beauty”; “Kallos”. If you add this flower to your wedding, you will add the sophistication, elegance, and charm to your wedding. 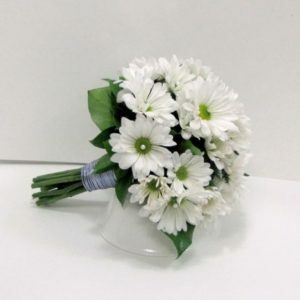 Daisies will always be able to brighten up its surroundings, including if they are being used on a wedding. Daisies have a natural ability to make people feel happy and smile. Even though Daisies are not generally used as a wedding decoration, this flower is very popular and can add a uniqueness and cheerfulness to your wedding—especially when the wedding is in a summer season. Roses are the flower of love, no wonder why they are best to be used in a wedding or other romantic occasion for you and your partner. Even so, white Roses are the best choice here instead of the Red Roses. 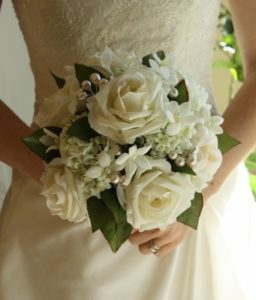 White Roses can represent purity, innocence, and virtue of your wedding. Pink Roses are a good choice too as the color is so soft and able to represent happiness. We know that Tulips mean “perfect love”. You can use this flower to tell the world—all the guests on your wedding—about the perfect love you have towards your partner, then. 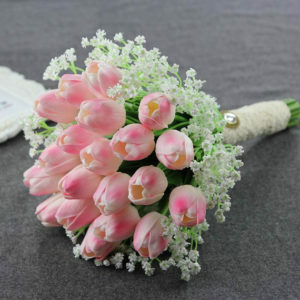 Tulips are also so beautiful and able to make your wedding decoration become more elegant. 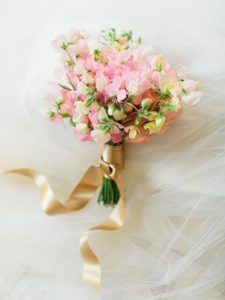 This flower can signify a “lasting pleasure”; this is the main reason why Sweet Peas are good for a wedding. It can symbolize a long-lasting relationship and happiness between you and your partner. After reading the meaning of flowers above, do you already have a flower in mind to be your wedding flowers? What is important to note in here is that wedding flowers should be meaningful, not only beautiful. So make sure that you choose the perfect one.